"All staff worked well together for a medical appointment it was a pleasant experience -"
"the doctor and technician were superb"
"Good experience - test was given - results reviewed by doctor & nurse - #3. No questions. #5. No info. " "Every one very helpful. " "I would NOT recommend Dr. Rahmani ." "I have no problem recommending Dr. Rahmani to anyone because he is a great doctor." "Care provider over and above explanation of future care and immediate care using sentences that were easily understood." "I am very fortunate to be a patient of Dr. Omid Rahmani since 2006. At times my physical problems seemed overwhelming & once I received the doctor's diagnosis & learned the care I would receive I knew that I was on the road to recovery. I'm sure his colleagues appreciate his expertise & he is truly a credit to the medical profession." "have already recommended him to friends"
"My experience was very good." "Dr. Rahmani is one of the best vascular surgeons I have ever met." "My experience is that the provider just wanted to move more swiftly to another patient." "The doctor is very concern and very friendly." 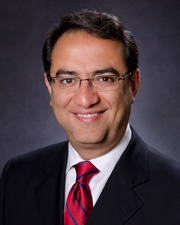 "Dr. Rahmani operated on my domestic partner in July 2014 and did an excellent job on his artery." "The provider, Omid Rahmani, MD, is an excellent doctor who takes maximum care of his patients." "Always had a good experience." "Dr. Rahmani is curt and not personable." "Dr. Rahmani was on top of his game. I would recommend him to anyone." "Every thing went very well."